So the execs at StruckAxiom surprised the crew Thursday with a couple of things. We all got to go see How To Train Your Dragon, since we worked on the killer Flame It site. BUT just before that, they literally busted out brand new iPads for the entire company—to keep. For reals. So before I conduct an in-depth review of the iPad, I definitely wanna take a moment and touch on what was in my opinion a landmark film for DreamWorks. From my understanding, How To Train Your Dragon had a rocky start in the studio, until it was helmed by Chris Sanders and Dean DeBlois (of Lilo and Stitch fame). HTTYD has an obvious based-on-a-book vibe, but other than some heavy references to some more backstory we weren't necessarily getting, it is about as tight as a family film can get. The characters are memorable and charming. The production design is fresh and intriguing. And the creature design is straight up inspiring. Especially the creature design of The Night Fury: Toothless. 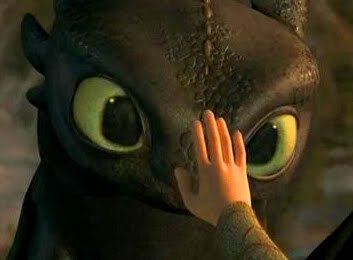 "So [Toothless] has to do a great deal of acting and that’s one of the guiding principles behind his design, that he be frightening and a bit of a Stealth Fighter in their world, but also have the design elements that would make him friendly and cute and really adorable when it comes time to really get to know him." Now read it again, and think of a MINI. See? Crazy huh. Okay, fine. I'll admit it. MINI's aren't just cool, they're also cute. Good write up and, whoa!, gorgeous shot of that MINI head on! Yeah, I really liked that shot because I thought it really demonstrates how a MINI can look both menacing and cute—all at the same time. Good insight Kyle! 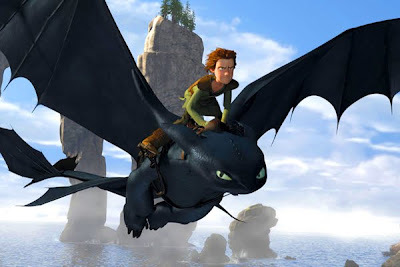 I've been all about motorcycles lately and I totally got the feeling that Toothless would make a great bike. Where did you find the pic of that MINI?? I've never seen that bumper before. 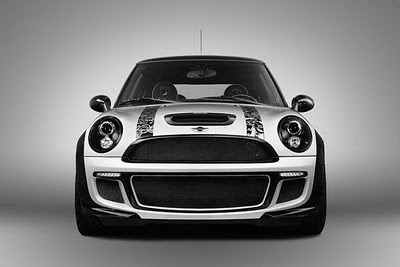 I found the pic of the MINI on worldcarfans.com - tons of great auto images on that site! Finally got around to seeing this over the weekend, and I've got to say I agree. The flying scene with the cheat sheet and subsequent snicking through the "gears" was exceptionally well done, and for me at least, reminded me of the first time I rowed through a transmission by sheer muscle memory instead of having to think about it. Also - the boy dug the movie and it's now joined Cars and the Toy Story flicks in his little rotation. While creative in your suggestion that toothless' appearance is similar to that of a MINI - I would have to say that it appears somewhat off the mark. That being said, good call on the speeder bike reference. Just for the record... 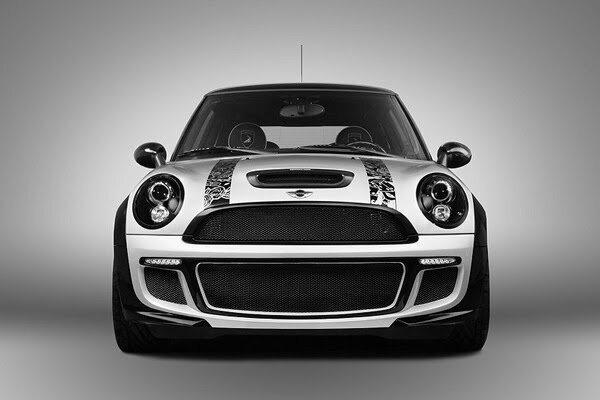 I'm not suggesting that the design of Toothless was inspire by the design of a MINI. I totally get that it's far more bullet bike in nature. However, I can honestly say I get the same cool/cute vibes from Toothless as I get from my MINI. My wife thinks it's cute, yet I still get approving nods from the guys in GTIs.